Keep your dyed hair vibrant and glossy by taking note of these colour protecting dos and don’ts. Dying your hair is a far bigger process than a trip to the salon or a good hour spent faffing around with a home-colour kit. In fact, it is usually what you do following the colouring that counts, and helps to keep your locks looking vibrant, glossy and in good condition. Coloured hair tends to be a lot drier than untreated hair so using a deep conditioning treatment is vital for keeping it in good condition. Use at least once a week and apply to hair that has been dampened with warm water. Leave for around 30 minutes to ensure it is completely absorbed then wash your hair as normal. Washing your hair too much can strip away colour – especially as the chemicals in the dye can make your hair more vulnerable to water’s effects. Making simple tweaks to your routine can help, so stick to washing your hair in lukewarm or cool water only and avoid excessive rinsing. Use dry shampoo in between washes to keep your hair fresh. 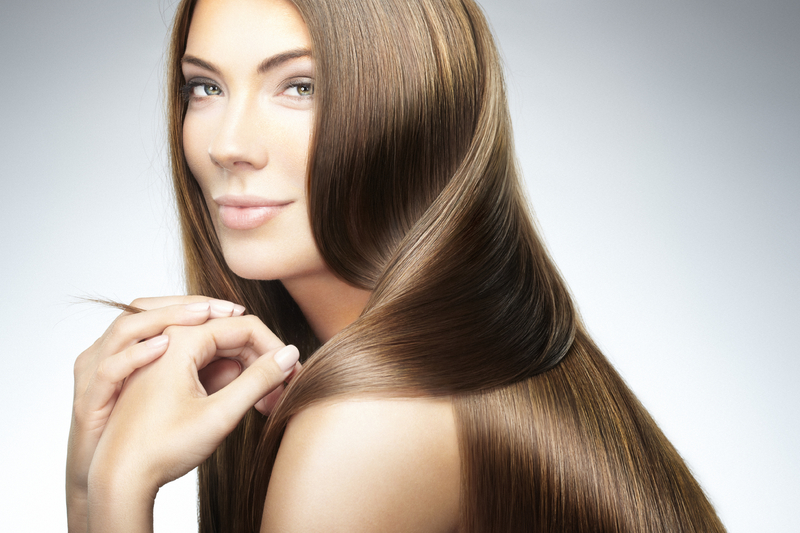 Coloured hair can be more vulnerable to heat so limit how often you blowdry and straighten. Make sure you invest in some heat protection spray and moisturising serums for the times when you do use heated appliances. We love TREsemme’s Heat Defence Styling Spray (£5.25) and L’Oreal Hair Expertise EverPure Colour Care Shine Serum (£8). The healthier the hair, the longer the colour will last. Make sure you get a regular trim every six to eight weeks to get rid of split ends and avoid touching your hair too much as this can damage the cuticle (the outermost part of the shaft). There are lots of shampoos specially designed for coloured hair and various scalps. Make sure you spend time shopping around for the best one for you, and ask your hairdresser for advice. Changing your hair colour regularly can be extremely damaging. This is because the more you change your colour, the more chemicals are needed to bring out the new hue. So take time to enjoy your coloured locks. If you have any hair tips and tricks you would like to share with us, please let us know in the comments section below. View and comment on the original Woman’s Day article. Get legs skirt ready How to get great skin - the lazy way!